Saturday was National Library Day. I went into the library, returned books, had a quick scan of the shelves, picked up by reservations, checked them out, and then left without seeing any sign of a librarian. The result of technology, budget cuts, and council departments being merged. And so it was particularly lovely to bring home a library book with a real life librarian inside. The lady in question arrived for work in the basement to find a reader who had been locked in overnight. She was not impressed and so she gave him a piece of her mind. And then she gave him a cup of coffee too, because he would have to wait a while, until the library opened, to get out. She lectures him about the library: the Dewey decimal system and its evolution, the lowly status of her beloved geography section, the politics of libraries, book acquisition policies, the irritating habits of library users … Yes, she moans, but she imparts so much knowledge, she clearly cares about the library, she clearly still believes in the traditional art of the librarian. He words are conversational, but she doesn’t let her unexpected guest get a word in edgeways. Even so, his interjections and her responses to them make it clear that he is listening and that he is interested. She clearly recognises that and she relaxes, becomes more passionate more articulate. There were times when I wanted to applaud, there were times when I wanted to protest, and I learned a good bit along the way. She did go on a bit – ninety pages without a break – but I hung on to the very end without a break. It helped that she revealed much of herself along the way. She was a quiet, rather old fashioned woman, who tried to do the right thing and wished that others did too. But they didn’t. The world had changed but she hadn’t. I felt for her, I really did. And I thought if only the traditionalists and the modernisers could meet halfway, how wonderful the library service could be. She had an unrequited love for a researcher named Martin, and she had an even deeper passion for books and the arts. That was what sustained her, what kept her going. I’ll be taking her back to the library next Saturday. I’m very pleased we met, but the parting won’t be painful. I do hope though that she will meet many more readers, she meets a few librarians, and most of all that she meets some of the bureaucrats who make decisions about how libraries are funded and run. I’d like them all hear what she has to say. Our library’s the same way – I can pick up something I’ve reserved and check it out without ever having contact with another person. Frankly, I don’t like it at all. The book sounds lovely! You’d love the book Kathy. I don’t mind the machines so much, but I wish the library staff were a little more involved. My only experience with libraries is the one in Melbourne when I visit my children. It is still one on one with the librarians who will comment on my book or say that it has been a very long time since they saw me last. I did hear they were going to do the automatic check in check out. I would hate it myself. I think a lot depends on how the system is managed. if it takes the routine work away from librarians and frees them up to help people it would be great. Possibly it didn’t help here that we got machines and budget cuts at around the same time. 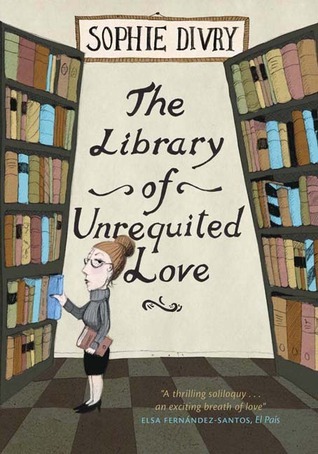 As a librarian, I think this sounds heavenly! I would love to read what she has to say. My library does have automatic self check-out, but we still have plenty of contact with patrons – especially when the machines fail to work! A lot comes down to the staff. We’ve had libraries and registrars merged so a lot of ours aren’t what I’d call ‘proper librarians.’ I’d love to know what a ‘proper librarian’ like you thought of this book. I cannot imagine a visit to my library without the presence of our lovely librarians. Sounds an interesting book. We still have one or two really helpful librarians, but a number of good people took redundancy when it was offered. I understand why, but it was such a loss to the library. Ha! I once spent the night locked in a library. It was the medical library at uni.